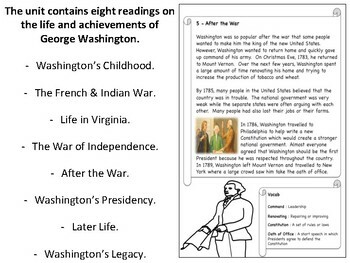 2 - The French & Indian War. 3 - Life in Virginia. 4 - The War of Independence. 5 - After the War. 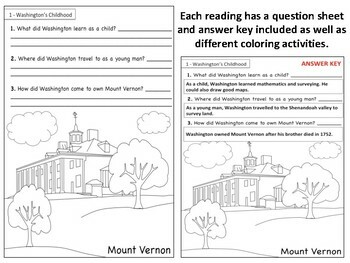 Each lesson includes a reading/vocab sheet, coloring pages, and question sheets. 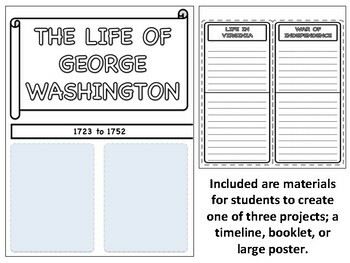 The file also includes materials and instructions for multiple projects. 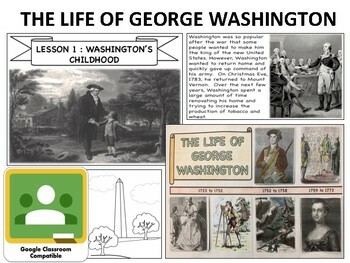 A PowerPoint presentation is included to help guide teachers and students through each lesson. You can also get links to google classroom materials following the instructions in the file.